Shark diving is one of those love-hate kind of dives. 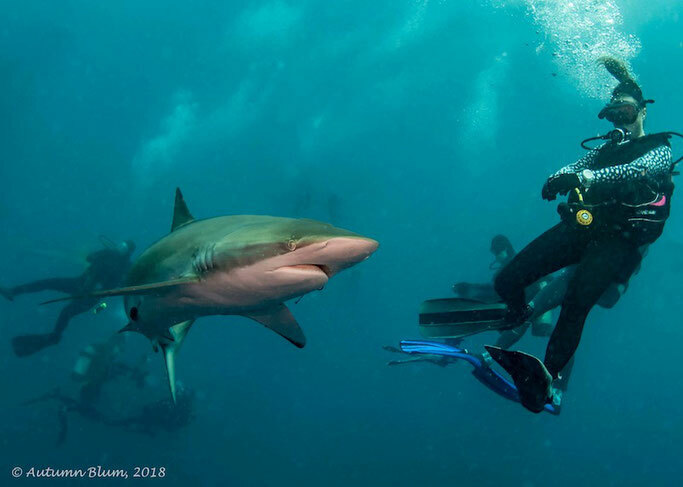 If you love sharks, you'll be jumping in as soon as you see a fin, if you hate them, you'll be staying away from the choppy water and deep abyss. If you don't believe in "chumming" you'll be giving it a bad name, but if you want to come face-to-face with a shark you won't mind it. But, whichever you prefer, we need to talk about shark diving; 100 million sharks are killed each year just for their fins, but eco-tourism, such as shark diving is *trying* to give those shark-killers a run for their money and show sharks are worth more alive than dead. 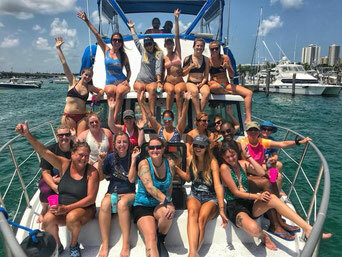 So Girls that Scuba head over to West Palm Beach in Florida to go shark diving, and give sharks some positive media for once. Shark diving is where you go scuba diving specifically looking for sharks. In most cases this also means chumming is involved which we will explain later. The Florida waters are famous for their varieties of sharks from Tigers, Bulls, Silkies to Hammerheads, or if you are lucky, all at once! It is a thrilling and exciting dive, with a chance to get up-close and personal to one of the most beautiful animals in the ocean! Chumming, as quoted in Wikipedia, is the practice of luring various animals, usually fish such as sharks, by throwing "chum" into the water. Chum is bait consisting of fish parts, bone and blood, which attract fish, particularly sharks owing to their keen sense of smell. In the picture above you can see Emerald Charters shark handler Josh with a box floating above him - that is where the chum is held. There are many opinions surrounding chumming. And to be honest, before we visited Florida and experienced shark chumming for the first time, we too thought it was changing sharks natural behaviours. HOWEVER, now we have experienced it we see it a lot clearer. Sharks are in critical danger, with 100 million being killed each year just for their fins. They also get bad media, humans are scared of them and fear they will get bitten or eaten by them if they get in the ocean (thanks, Jaws), which is completely untrue. Scuba divers are our saviours, we love sharks, we pray to swim alongside them and even want them to come as close as possible. 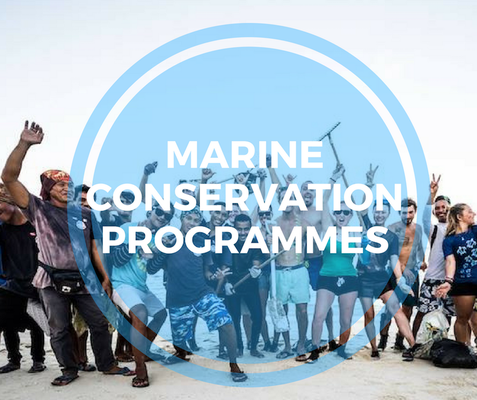 We post pictures, share conservation articles and are their biggest advocates. A shark is worth more alive than it is dead - and through eco-tourism, like swimming and diving with sharks, we may have a chance to change their destiny. 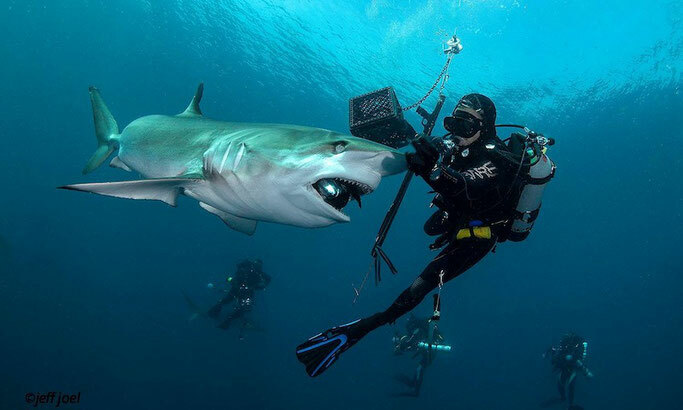 Most divers are not lucky to come close enough to sharks without bait, they are mostly timid and know you are not food so won't come too close. However, when going shark dive with chum your chances are massively increased and your lifetime dreams may come true. We now believe chumming has a positive long-term effect if it can give more people the chance to swim alongside sharks and give them a positive media. 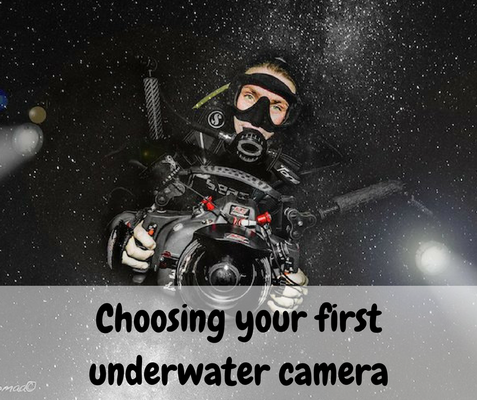 Scuba diving in the USA is slightly different from other countries, you usually need to bring your own tanks, and this is the case in Florida. If you don't have your own tanks you can hire them at Scuba Works in Jupiter. It does depend on the dive centre, as some are also ok with just NOT white or yellow gear, but anything else is fine. Tip. Tipping is pretty mandatory in the USA. How much does it cost/ who should we go with? 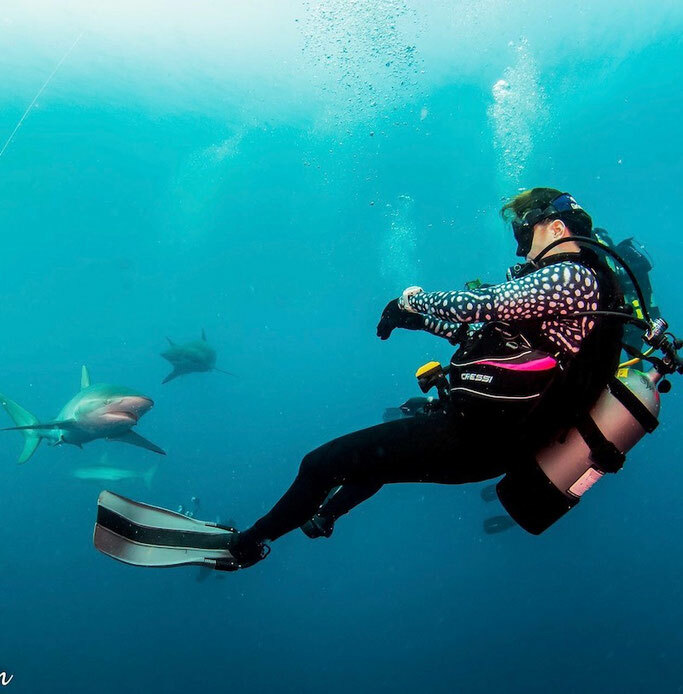 Emerald Charters know how to find sharks, they've been doing this for years, and while they can't guarantee to see these beautiful wild creatures every time, the likelihood is pretty good. You'll need to be an experienced diver to hop on board Emerald, they don't just let anyone on. 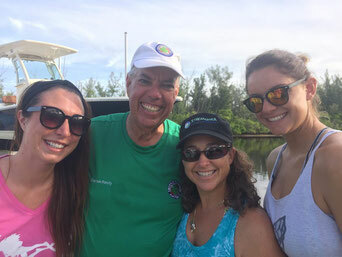 Randy, the owner, is well-known amongst scuba divers and quite the character. Emerald aren't for the faint-hearted, they also spear to lure in more sharks - so make sure you are comfortable with that. If you are not ok with that move onto the next option. Deep Obsession are the guys we hosted our GTS shark diving events with. They work slightly different from others, and while they do chum, they don't spear and are a little more conservative. Most shark dive operators go to the same dive sites, so your chances to see sharks are almost the same whoever you go with. We love the staff at DO and their respect and addiction to the ocean, they are wonderful divers and provide amazing service. You are going to want to stay in West Palm Beach so you can be close to the dive centres and crash in bed after a full day diving. We love the Best Western in Palm Beach as it's super close to the harbour, clean, comfortable and really good value. Can I go shark diving if I am on my period? Yes you can go shark diving when you are on your period, just like you can do any other diving on your period. No the sharks won't be able to sense the blood and come at you. There's plenty of other things in the water they are interested in other than you. Don't let mother nature stop your fun! Just another reason Girls that Scuba is here - you don't know how many times we've been asked this question! Huge thanks to Autumn Blum who helped us so much with our trip to Florida and came with tons of her reef-safe products to give out to all the girls! We've supported them from day 1 for a reason and we just hate seeing divers using normal sunscreen on boats! Read our full review and get 10% of Stream2Sea products with code girlsthatscuba.